Blend. Juice. Cleanse. Detox. – The Liquid One. Blending. Cleansing. Juicing. Detoxing. Terms we’re all familiar with and have all heard before. It’s very much ‘egg shell territory’ to step on when it comes to the pros, cons & health benefits of this particular subject. Some people are totally against it, others stick to certain cleanse routines religiously, it all depends on the particular person, their lifestyle and whether juicing is for them or not. So you’ve decided that juicing is for you, next you’re wondering ‘well what type or kind of juice should I be drinking?’ Social media such as Pinterest, Instagram, Facebook and many a blogs are loaded with juicing/blending recipes, cleanses and diets. Cleanses for inner health, for kidneys, for liver, for skin, to drop some pounds, the list is endless…my advice? Go for what feels right for you. Personally, I love the occasional cleanse, maybe I’ve had a few bad days of eating, or I’ve been retaining a lot of water recently, whatever the reason sometimes a quick detox can make you feel fresh and back to yourself again. How do I go about choosing my detox? This totally depends on the time and circumstance of when I choose to do my detox, a few years back I did a lemon detox to flush out all the toxins from my system, now as a breastfeeding mother that is a total no go for me. So yep, it really depends on why you want to detox. For each of my detoxes I will go into detail with further blog posts. So today I’m starting my own personal ‘momma safe cleanse.’ When doing something such as a cleanse or detox, it’s important for me to take into account that I’m an exclusively breastfeeding mother. For those of you one who aren’t mommas, everything I eat or drink hits my system straight away and isn’t out for another 3-5 hours. Therefore everything I eat or drink I have to take into account that that is also what my little 10 week old is eating and drinking too. Anyways, today until Sunday I will be doing 5 days of just liquids, plus one bowl of oatmeal a day. These liquids can be any type of liquids, although if you’re doing it as a purpose of cleansing I suggest you don’t do 5 days of drinking just soda and coffee. My days personally will be something like – starting off with coffee (it really is needed with a tiny baby and sleepless nights). A bowl of oatmeal, then the rest of the day with fresh fruit juices, veg juices, smoothies, milkshakes and lots and lots of water in between. • Because as a breastfeeding mommy, any type of strict diet is almost an ‘immediate stress effect’ on the body, this could therefore inhibit milk production and as I exclusively breastfeed I obviously do not want that happening. • Oatmeal is a complex carbohydrate that I need for energy throughout the day, having a small baby can be tiring work and the purpose is to give myself more energy not make myself more tired. • Yet again due to breastfeeding the calories are needed, therefore smoothies are also allowed as milk will add extra calories. • The idea of this ‘cleanse’ is not specifically to lose weight or anything else but more for me to feel better than I do. The past week I have been eating not very well neither healthy and this has affected my baby’s stomach (colic in momma terms). I also feel full, bloated and lethargic as well as having water retention. For me this is a way to ‘eat completely clean’ but in a more fun, yet disciplined way. • I believe from personal experience that giving your body a break from both meat and dairy does so much good for you. Therefore in this liquid cleanse, obviously no meat is present, however, no cows milk, or any other milk that contains lactose. 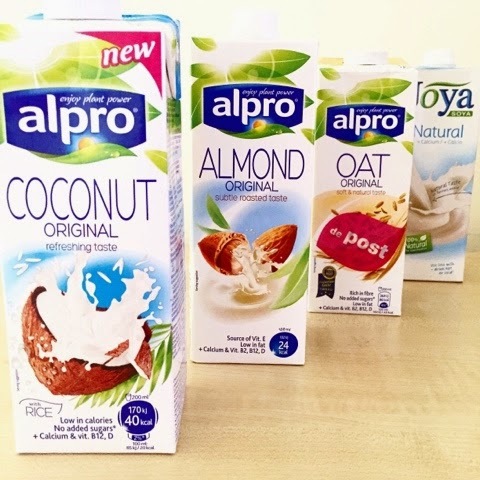 I will only use soya, oat, almond, coconut or hazelnut milk (all of which I buy from the Alpro brand). • Lastly I am doing it this way as it’s been nearly a year since I got pregnant and stopped ‘cleansing and dieting’. This is a great way to ease back into those habits without making yourself miserable and craving food the whole time. As I definitely do not think that is how any diet should be. For those who have never done any juice cleanse or detox of any sort then this is an absolutely great first to try. It’s been known for many people to get attracted to the idea of a totally clean cleanse or detox program, jump right into a strict regime and find they fail after 1 or 2 days and never try it again. The key to these types of regimes is easing into that mentality and getting your body used to that type of regime. On that note, let’s drink to that! ← 21 Day Cardio Challenge – Week 2 Update.